New Delhi sources stated that RSS has welcomed Prime Minister Narendra Modi's take on the Ram temple issue, saying that it is in line with the BJP's resolution made almost three decades ago. Furthermore the reaction from the BJP's ideological mentor came after PM Modi, in an interview said that any decision on passing an executive order on the Ram temple issue cannot be made unless the judicial process is over. Reportedly the RSS termed PM Modi's remarks a "positive step". 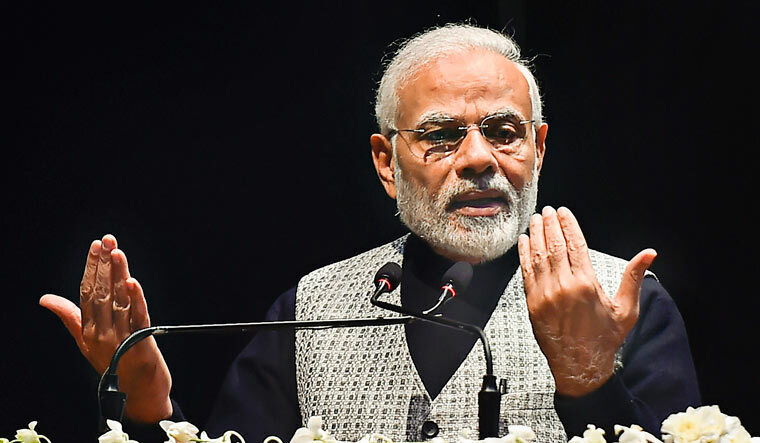 PM Modi said "Let the judicial process be over and after the judicial process is over, whatever will be our responsibility as the government, we are ready to make all efforts". Meanwhile the title suit of the disputed site in Ayodhya is pending in the Supreme Court, which is expected to say this week on when it would begin hearing the case. The RSS said in a series of tweets "Even in the 2014 Election Manifesto prepared under the leadership of Shri Narendra Modi, the BJP promised to explore all possibilities within the framework of the Constitution to facilitate the construction of the Ram Temple in Ayodhya". Apparently the Prime Minister's remarks come days after the BJP allies in Bihar have reminded the party that the temple issue was its agenda and not that of the NDA.